“Oh God, Why My Only Child?” from Christian Faith Publishing author Bettie Blocker Owens is a memorable work that shares a mother’s mental anguish and struggles in handling her only daughter named Kanika’s permanent brain damage due to medical malpractice and how God has helped her cope with a seemingly unbearable pain and overcome it. 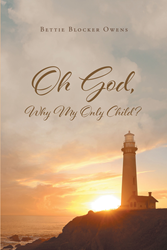 “Oh God, Why My Only Child?”: a touching book about getting through life’s disappointing trials and challenging circumstances and placing one’s hope in the Lord. “Oh God, Why My Only Child?” is the creation of published author, Bettie Blocker Owens, a corporate business leader and an educator. Published by Christian Faith Publishing, Bettie Blocker Owens’s new book is an enthralling work on how a person who has experienced tragedies in life can be used by the Lord to reach out to other people, change their hearts, and bring their hearts to salvation. Painful events like seeing a daughter suffer from an irreversible brain damage are allowed by God to happen to people to bring them closer to him. Even storms in life have a life-changing purpose; Owen’s true story inspires readers to put their trust in God, for his will is perfect. View a synopsis of “Oh God, Why My Only Child?” on YouTube. Consumers can purchase “Oh God, Why My Only Child?” at traditional brick & mortar bookstores, or online at Amazon.com, Apple iTunes store, or Barnes and Noble. For additional information or inquiries about “Oh God, Why My Only Child?”, contact the Christian Faith Publishing media department at 866-554-0919.